Products Used: NGC is a good example of how starting with our base ERP software we can create a custom solution to help manage a variety of different businesses. 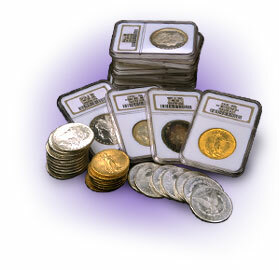 Bio: NGC was founded in 1987, and for coin grading, its opening heralded the introduction of a new standard of integrity. From the beginning NGC focused on only one objective, a standard of consistent and accurate grading. As NGC has grown to become the leader in third-party grading services, they have maintained a steadfast and uncompromising commitment to this standard. Behind the scenes, the software that allows NGC to manage the process of grading thousands of coins a day and compiling data for publication on their website was designed and implemented by the Megasys Development Team. However, that is only part of the story, we have also worked closely with their affiliated companies to design solutions specific to them, servicing comic book grading, paper money grading, coin conservation services, all with their own set of unique requirements. If your business is unique, then, just like NGC we can design and implement a cost effective solution that will allow you to manage your business processes.